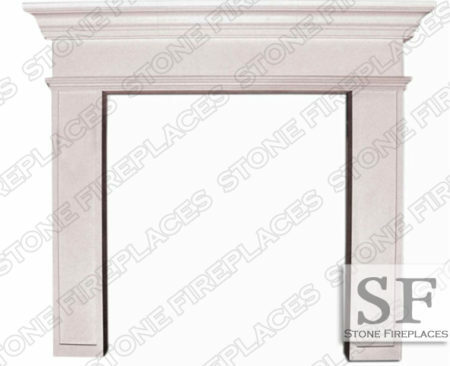 With fluted square pilasters on each side supporting the mantel shelf the Windsor Fireplace is a great traditional decorative choice. 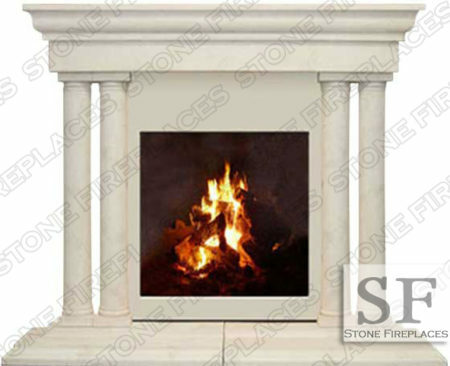 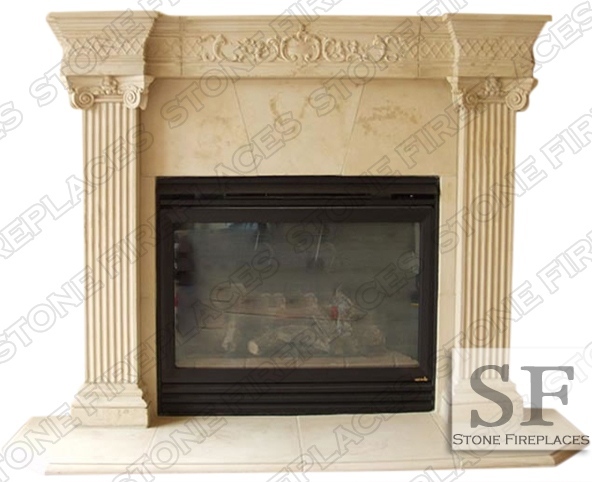 An Italian style fireplace with square fluted columns. 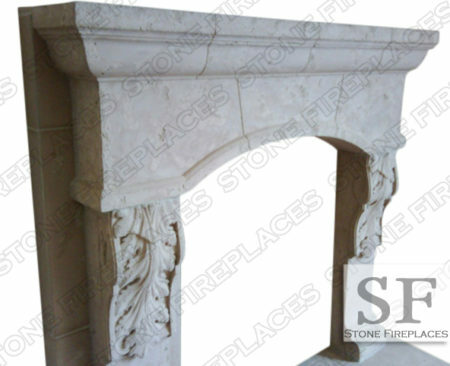 This Traditional Italian mantel can also be made from marble. 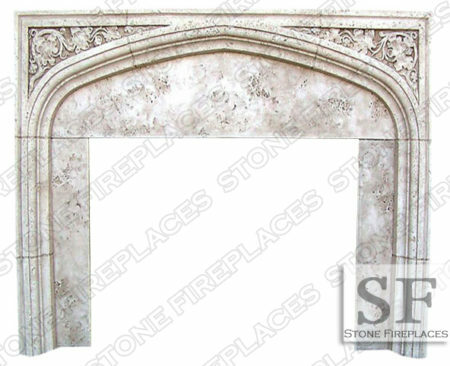 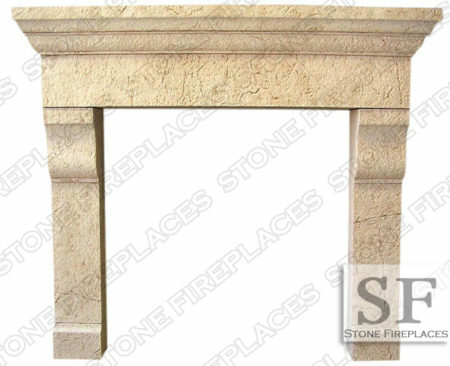 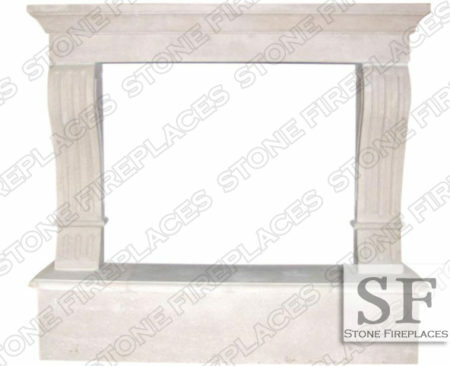 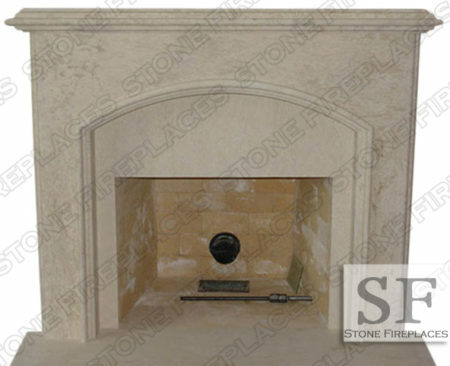 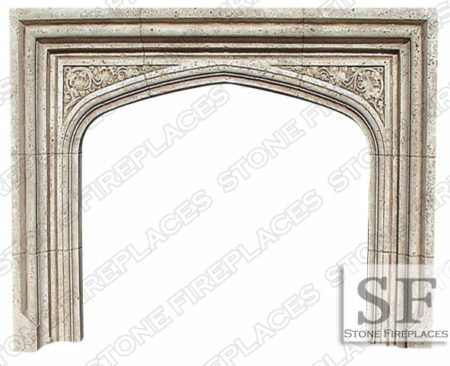 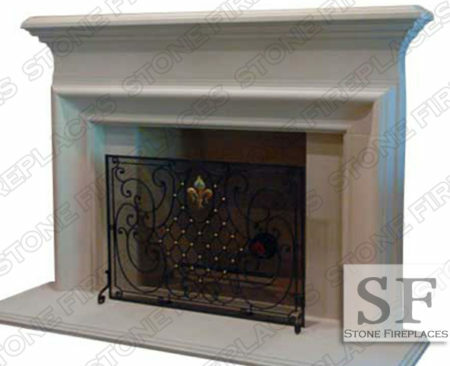 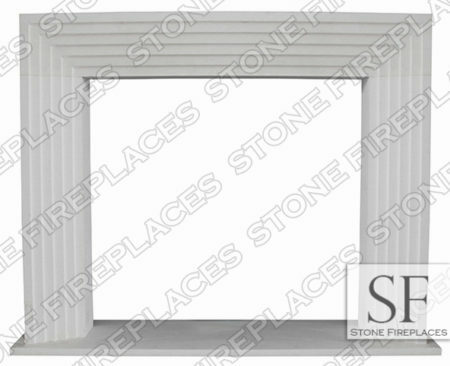 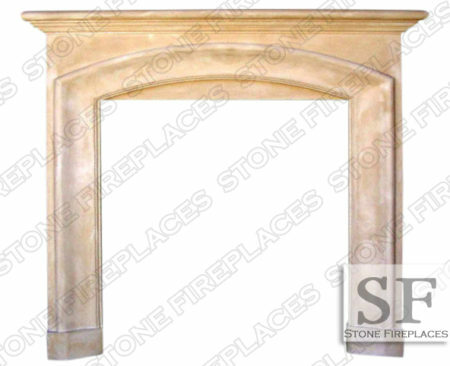 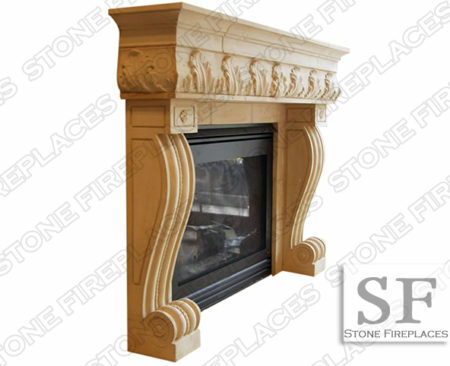 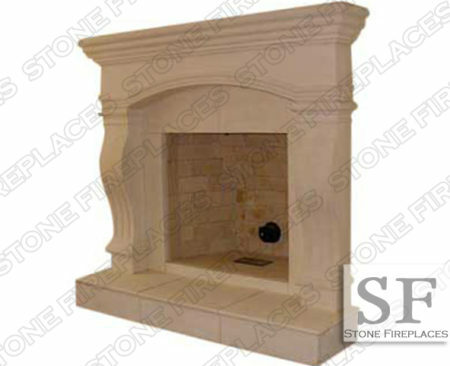 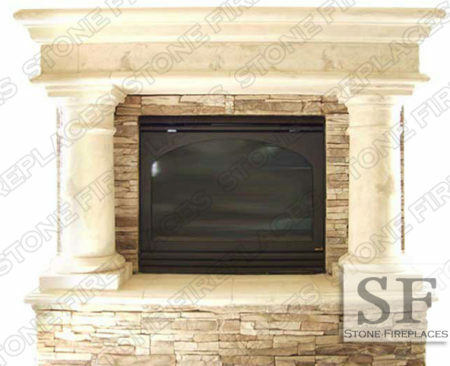 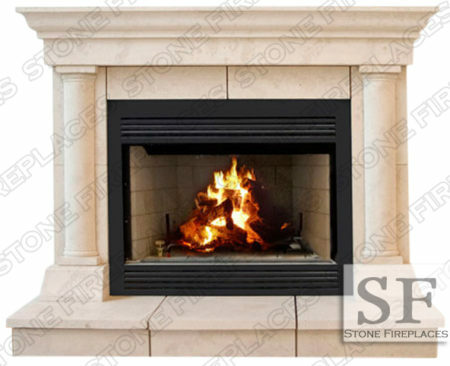 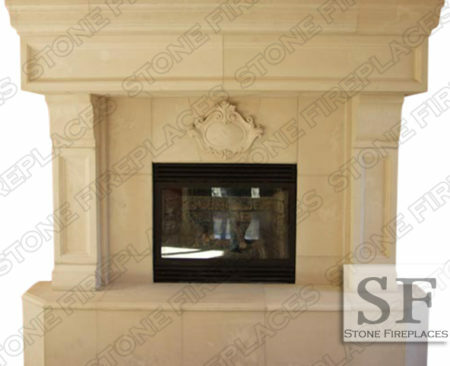 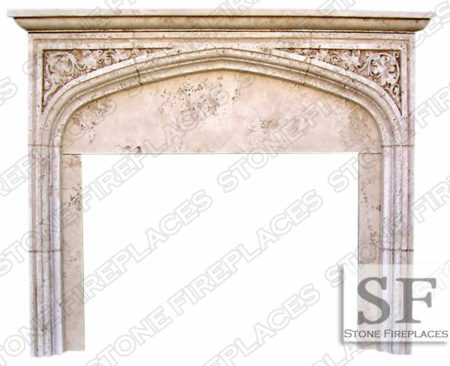 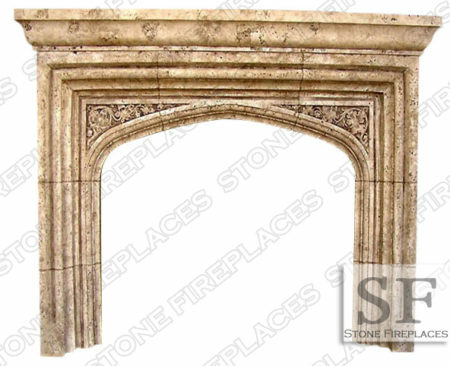 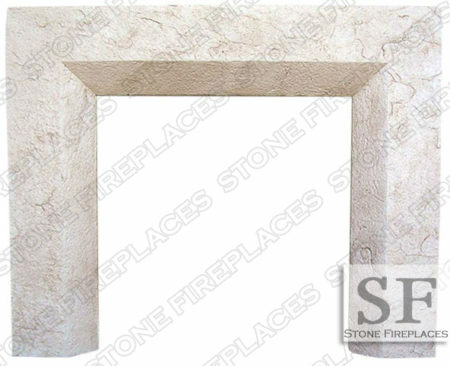 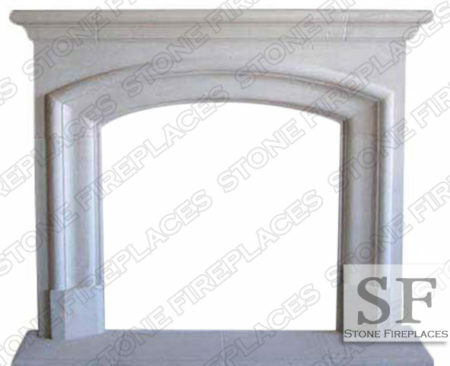 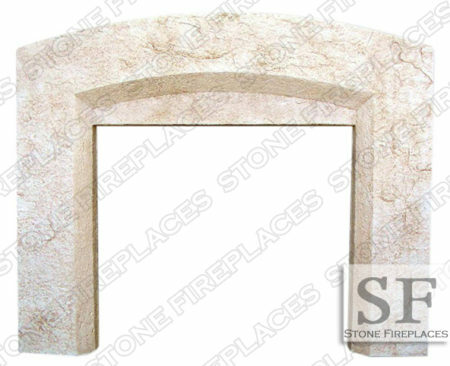 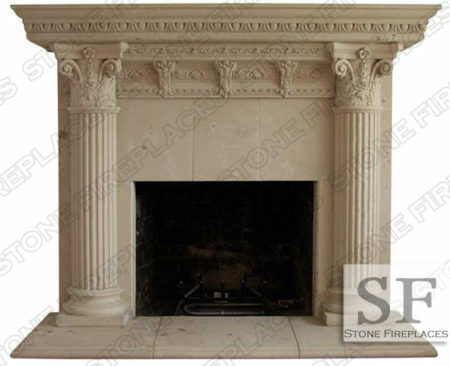 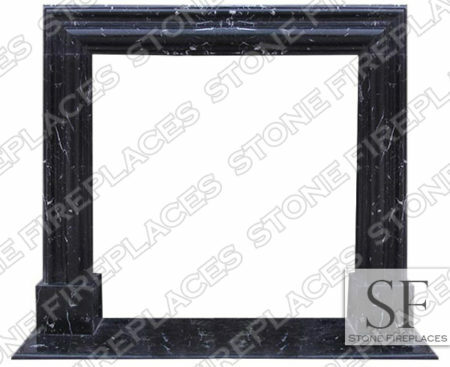 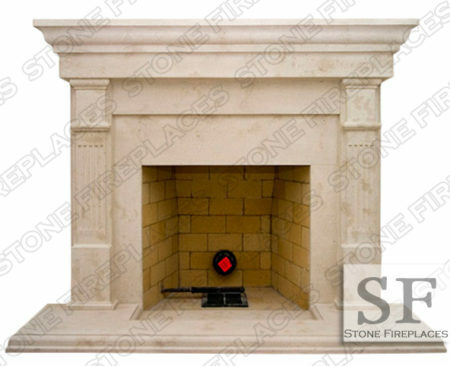 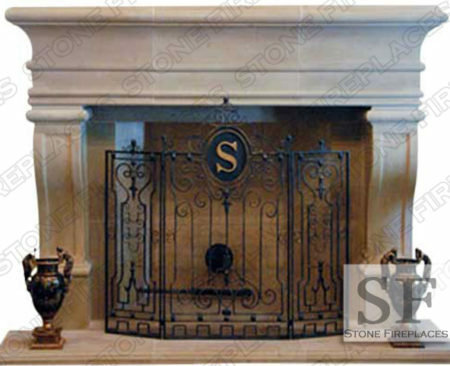 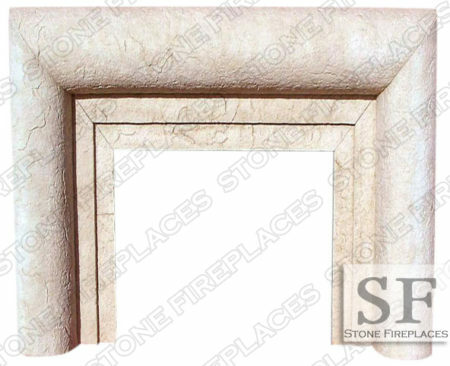 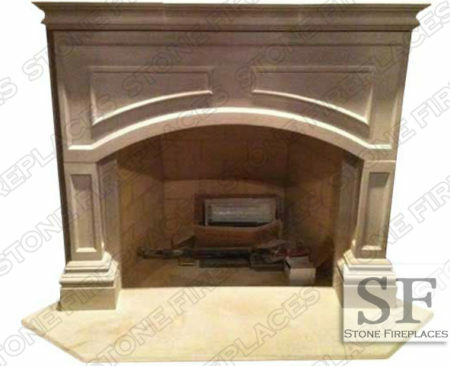 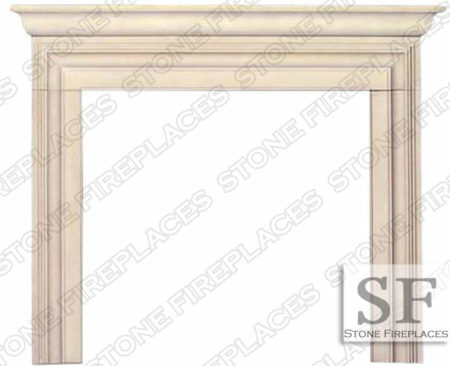 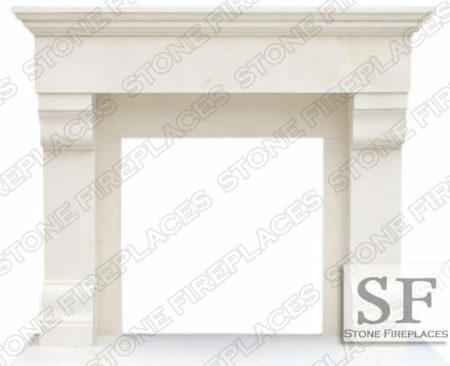 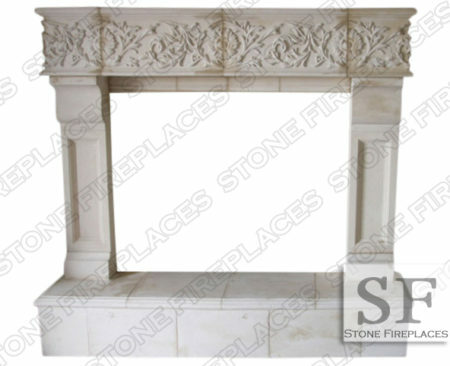 Here this fireplace is pictured in cast stone. 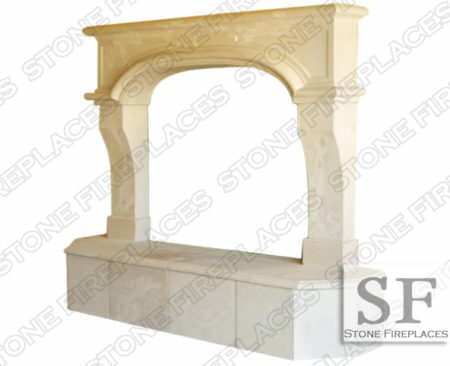 Our cast stone is a limestone matrix meaning it is made from real limestone. 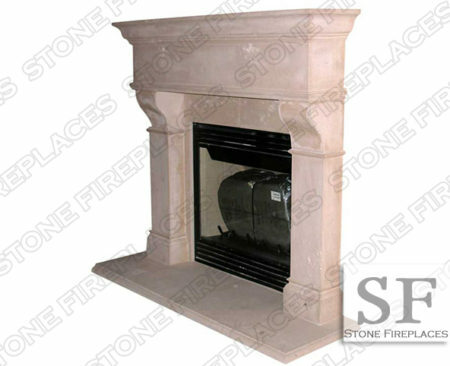 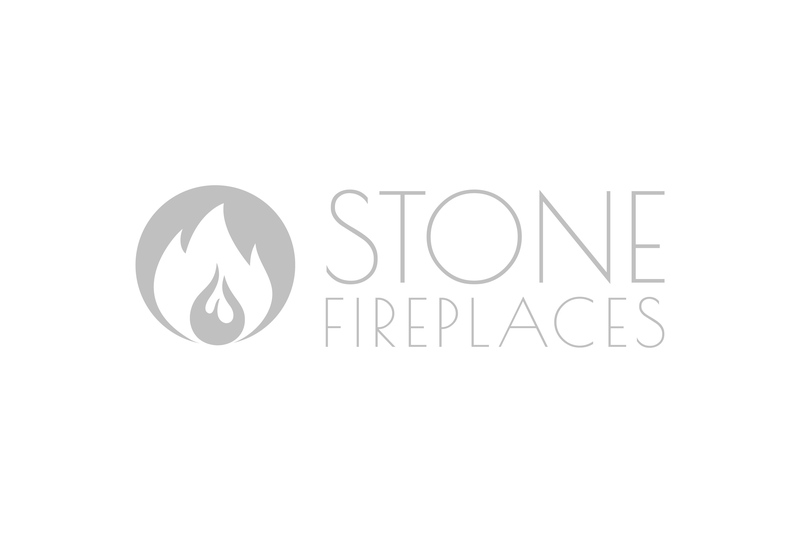 Cast stone is a light weight durable man made material. 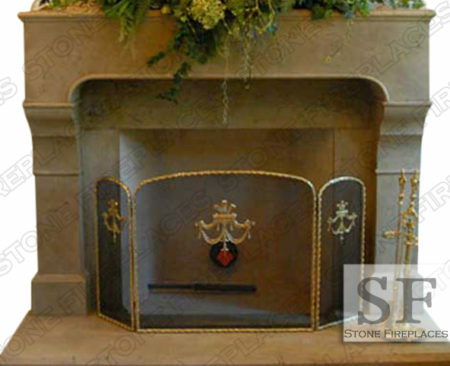 Custom edge hearth and a glass firebox.